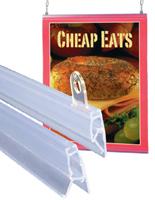 This Sign Supply is an Affordable Poster Rail for Easy Signage Displays! This Sign Making Kit is In Stock Now! This sign supply, sign making kit, is an excellent alternative to cheap plastic frames and weighty metal frames. This sign supply is an easy to hang banner display that is the perfect way to market products and services. Many businesses prefer this sign making kit, sign supply, over wall mounted frames as the ceiling mounted units are more visible in a large retail environment. These affordable sign supplies for sale online are quality paper, fabric, or vinyl banner holders that can promote special sales or product spotlights so that more permanent displays may be hung on the walls. 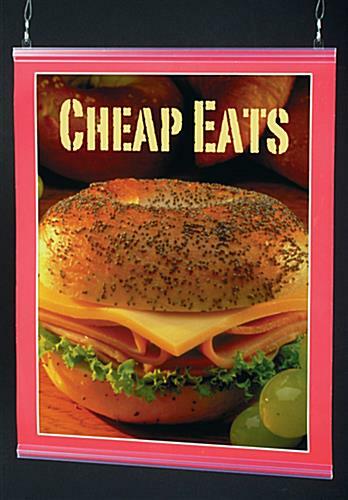 These durable sign supplies are often seen in larger department stores, grocery stores, restaurants and other locations because they get noticed! Buy these sign supplies online and save money! These advertising tools are the perfect choice for temporary displays! Top Rail with (2) eyelet clips. 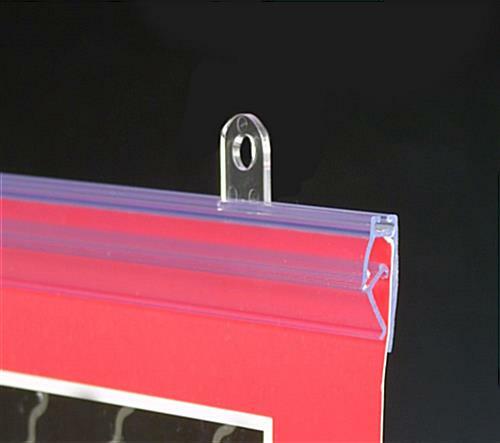 The clips are adjustable and slide to where they are needed. This sign supply holds posters that measure 24" wide. The length of the poster is limited only by the available headroom. 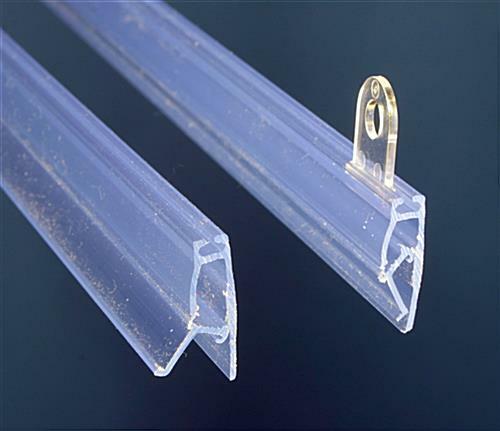 Buy sign supplies online and save big!